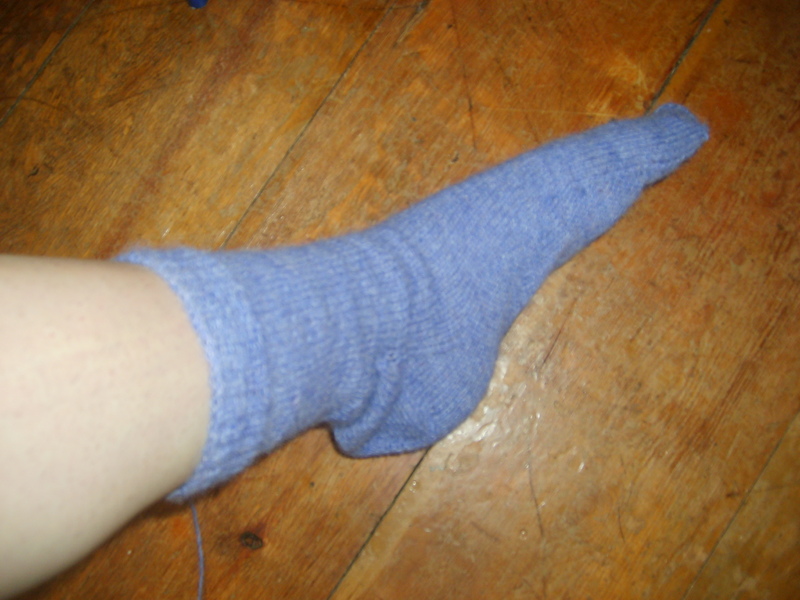 I have knitted a sock! Please also ignore the fact that the toe is about 1.5 in. longer than my foot, giving them a rather elfin aspect, and that the end distinctly does not look like the kitchener stitch invisible seam in the video. I have knitted a sock. Hallelujah. Entry filed under: knitting. Tags: knitting. Congratulations! The second one will be better…which of course will make them mismatched, but who cares? I like the color.